According to Mallory and Adams in The Oxford Introduction to Proto-Indo-European and the Proto-Indo-European World, there are 24 distinct verbs concerned with speaking in Proto-Indo-European. But if headlines these past weeks have been any measure, we all feel a bit speechless in our great many daughter Indo-European languages. One such root for speech is *wed-, which Mallory and Adams gloss as “to raise one’s voice.”Oh, “the world may be too much with us; late and soon,” as Wordsworth moaned, but even he had to shout “Great God!” in that seismic volta. In the Attic region of Ancient Greece, the famed Athenians there formed *wed– into oidos, a “singer” or “minstrel.” Indeed, that Romantic oidos John Keats versified many a great ode. Some poets and actors of antiquity sang of the comic and were named komoidos. This comes from komos, meaning “a revel” or “merry-making”–or, properly, a “village festival,” according to Liddell and Scott’s seminal Greek dictionary. Latin borrowed the Greek komoidia to make comoedia, and English borrowed much later from French’s Latin-morphed comedie, staging comedy in the 14th century. Others sang of the tragic, from tragos, a “he-goat.” This delivered tragodia or tragoidia, a “goat-song,” though this etymology is not settled. 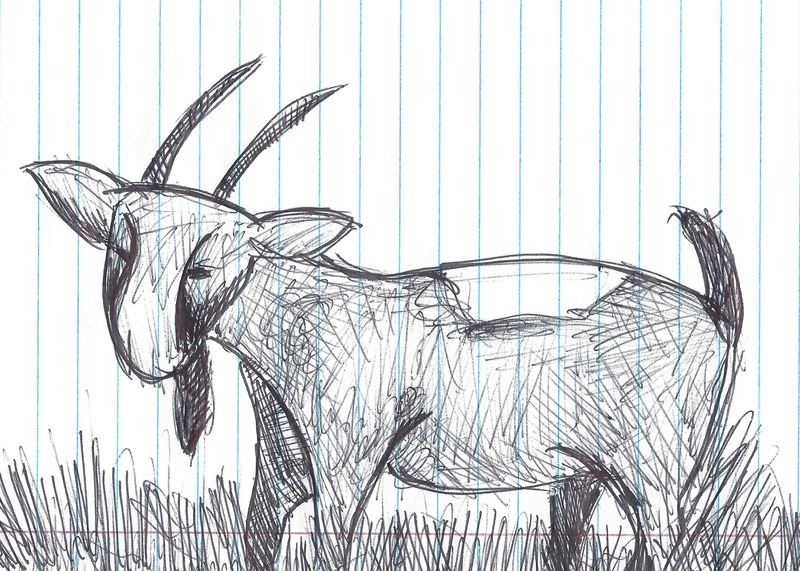 Mallory and Adams cite eight Proto-Indo-European roots for “goat,” four specifically meaning “he-goat.” Clearly, the goat–as sustenance and symbol–occupied a special, and frequently phallic, place in Indo-European life. Others, including the great Aristotle himself, argue this tragos points to the saturikon, the so-called satyric drama or satyr play, which featured tragic, though also comedic, tropes, motifs, and formulae involving satyrs, mythic creatures sometimes depicted as goat-legged men. Tragos traveled a similar path to komos to produce tragedy. Other derivatives of oidos include melody, quite literally a “song-song” in Greek. We also have rhapsody, a “stitcher of epic songs,” and parody, featuring a specialized meaning of “mock” for the prefix para-, “beside.” The less common epode, hymnody, monody, and threnody are also from oidos. If we are to push back against “the pressure of reality,” as another poet, Wallace Stevens, put it, the ancient root oidos teaches us that we must not be silent but must raise our voices. In song, whether comic or tragic, through language, through imagination, we can create order out of the otherwise insensible and senseless chaos. I am writing a dictionary and have discovered some grammatical similarities between South and West Asian languages, and European languages.